Scott Niedermayer was the first Anaheim Duck to lift the Stanley Cup in 2007, and he was the backbone of the strongest defense in the league that featured Chris Pronger. Since his departure from playing professional hockey, the Ducks have been searching for answers to their defensive woes. It has been the itch that the front office hasn’t been able to scratch. While Anaheim’s young defense isn’t well-known, they have started to make a greater impact on offense and are maturing into quality NHL players. The main setback for the Ducks in the playoffs has been the absence of a true number one shut down defenseman. While that assessment of the defense is fair, it doesn’t mean that Anaheim is lacking in great players. Here are the rankings for the Ducks on who will most likely be the number one guy when he progresses far enough. 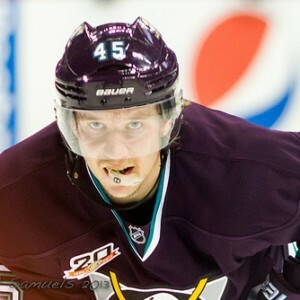 Josh Manson (the son of NHL great Dave Manson), played 28 regular season games with the Ducks in the 2014-15 season filling in during the radical mumps outbreak and as needed when there were injuries in the second half of the season. He managed three assists in those 28 games and was partnered up with Cam Fowler and Clayton Stoner for most of his playing time. Josh stands tall at 6’3 and has brought physical play to the Ducks in his time with the club. 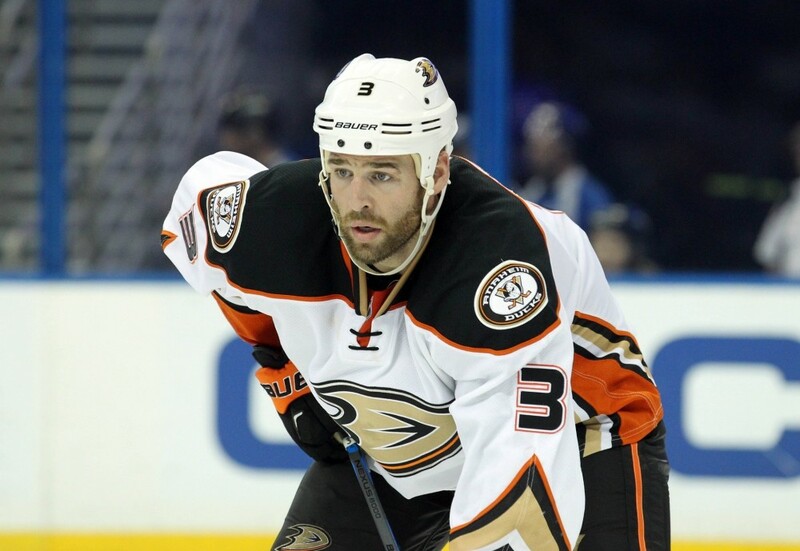 Manson was recently signed to a two-year deal with the Ducks through the 2017-18 season. 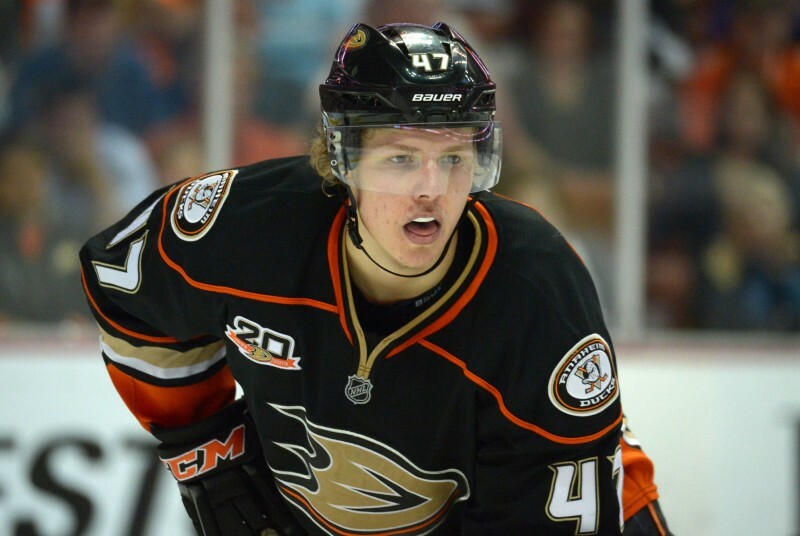 The development of Manson is going to be something to watch in Anaheim, since his two-year contract is a sign that the Ducks intend for him to progress to the top-level soon. Clayton Stoner was brought to Anaheim in the summer of 2014. Since he has played in Orange County he has had his fair share of supporters and detractors. He hasn’t lied about what kind of player he is, though. Stoner has never pretended to be a player that produces offense. He has maintained that he is a true stay at home defenseman. He recorded eight points in the regular season and one in the postseason. But he has also contributed majorly to Anaheim’s physical play with 128 regular season hits in 69 games and 60 hits in 16 playoff games. Still, it’s going to take greater discipline and more offensive production to move Stoner up this talented list. 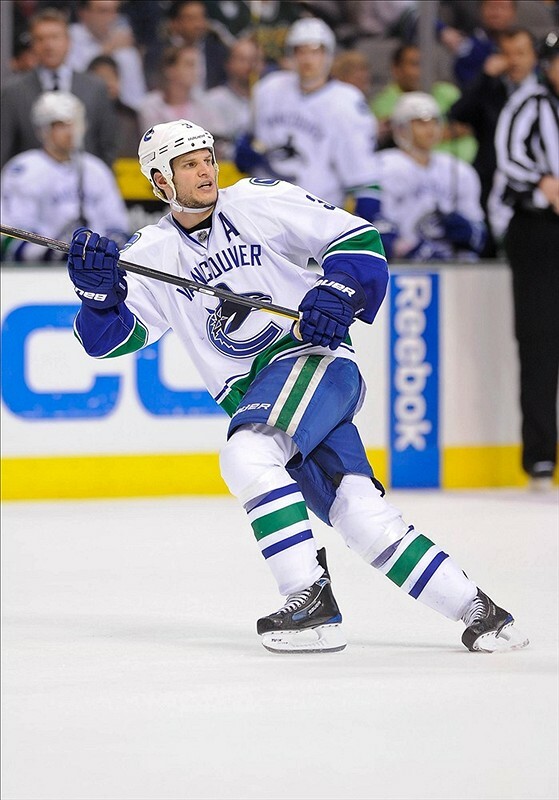 To be perfectly candid, I feel like the move to acquire Bieksa was about more than replacing Francois Beauchemin. I think a big reason Bieksa has been brought in, is to motivate Ryan Kesler by bringing in one of his old friends from the Canucks. This is a move that I agree with. 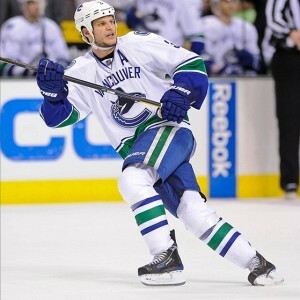 Bieksa has provided 14 points in 60 games last season with the Canucks. Bieksa, like Stoner, is not greatly known for his offense. However, if Bieksa is slotted with Hampus Lindholm, he could produce far more. But what really has Bieksa at this ranking is his status as a veteran. The young core defense of the Ducks needs a voice to calm them down in times of peril and Bieksa is the top candidate for that. Francois Beauchemin’s departure has left a hole in defensive leadership and Bieksa, who is now 34 years old, has experience in those situations. With a new team and an old friend to play with again, Bieksa should join Kesler in the mad, obsessive quest to finally with the Stanley Cup. This ranking may seem like I don’t believe Cam Fowler is an impact player. He may be fourth on my list, but Cam has become more versatile on defense and more dangerous on offense. 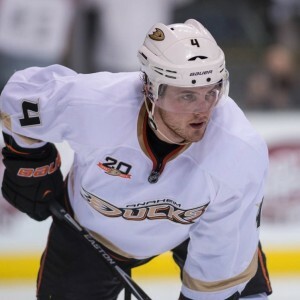 The Ducks power play clicked in the playoffs because of his addition to the first unit with Sami Vatanen. Fowler is widely regarded in Anaheim as a young prospect who was brought up to the big club too soon, but Cam has been trying to get that label off his back. He produced 34 points in 80 games. In the playoffs he managed 1o points in 16 games. Since the trade of Ben Lovejoy, Fowler has been able to have more offensive freedom to jump into the play and join the attach when it is necessary. Cam was able to add to his hockey resume in 2014 when the Olympics were in Sochi and Fowler suited up for Team USA. His smooth and silky skating has also widely opened up the playing ability of his defensive partner, Simon Despres. I can honestly say that this is the player I can’t wait to see back out on the ice for the next season. This was a big acquisition for the Ducks and without Despres, it’s easy to speculate what could have happened to the Ducks in the playoffs without him. I’m not going to bring up that I really can’t believe the Penguins traded this guy away because I would be furious if he was traded away from my team. Despres contributed seven points for the Ducks in the playoffs and had the game winning goal against Chicago in game 3. Despres, now 24 years old, will return for the last season on his contract in the 2015-16 season. His puck-moving ability on the ice is really great to watch as he escapes tough situations with ease and never seems to have any panic in tough situations. He is a great compliment to Cam Fowler and only barely squeaked out ahead of Cam because of how much he has impressed me since his trade to Anaheim. Fantasy hockey players alert! This guy scores goals and gets points on the power play. Seven of his 12 goals in the regular season were power play goals as well as 10 of his 25 assists. He had the most points for a Ducks defenseman with 37 points in the regular season and 11 points in the playoffs. 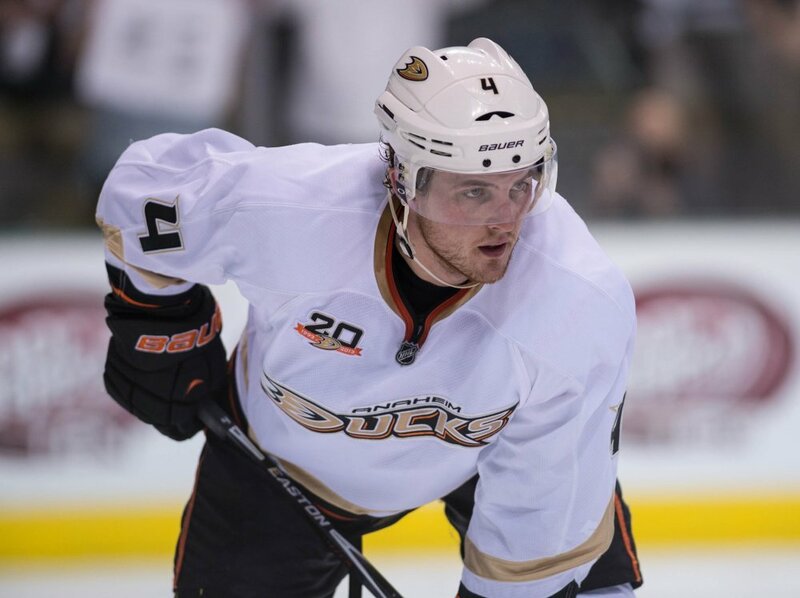 Vatanen is the power play quarterback for Anaheim and always helps on offense. Vatanen brings in the number two ranking because he is also a valuable penalty killer for the Ducks. When he joins Clayton Stoner on the kill, the two have a system where Stoner clears out any people in front of the net and Vatanen uses his speed and small size to get possession of the puck and clear the zone. Sami has played better with Stoner than with Fowler as Bruce Boudreau tried the second pairing for a short time. When Sami was paired with Cam Fowler, the two would both jump in on offense leaving no one back which led to some breakaways and outnumbered attacks. 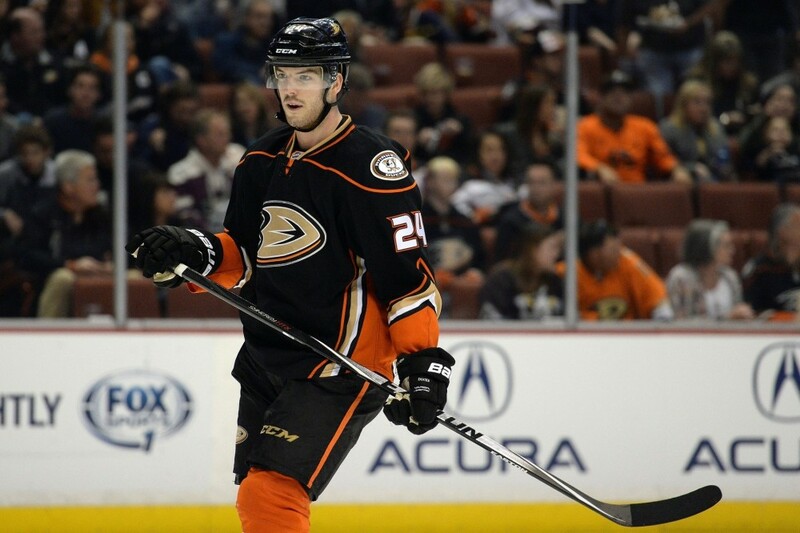 After Vatanen’s first full season in the NHL, the potential can only grow with more playing time and more experience. There is no question in anyone’s mind that this young Swede is the future. 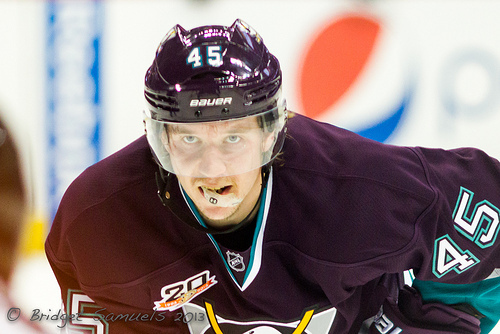 Hampus Lindholm at 21 years old is the youngest defenseman on the Ducks’ roster. Lindholm has a plus/minus rating of +54 in his first two NHL seasons. His first year, he was a scrawny young kid who already had NHL playing ability. In his second year, he put on a considerable amount of muscle mass and added a physical presence to his game and also giving him a much heavier slapshot. His average ice time also went up to 21:46 in his second season as he and Francois Beauchemin became the top defensive line. He also greatly improved his 2015 playoff performance with 10 points in 16 games. He hasn’t played with anyone but Francois Beauchemin consistently in his career, so it will be interesting to see who he gets paired up with in the coming season. 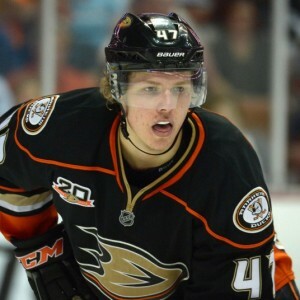 Hampus is getting better each year he plays with the Ducks and management, as well as the fans, are hoping that he is the savior defenseman that has eluded the Ducks since the departure of Scott Niedermayer. Hampus has an extremely rigorous off-ice workout regimen that includes some tough stick handling drills with a rough partner.